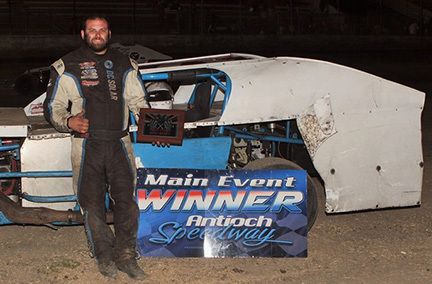 Antioch, CA — Saturday night was another occasion for exciting All Star Series Racing at Antioch Speedway, and the #7 came into play in four of the Main Events. Eric Humphries was the seventh different winner in the nine Winged 360 Sprint Car races held so far this season. A Modified point leader Nick DeCarlo won his seventh Main Event of the season, and new B Modified champion Trevor Clymens also won for the seventh time this season. 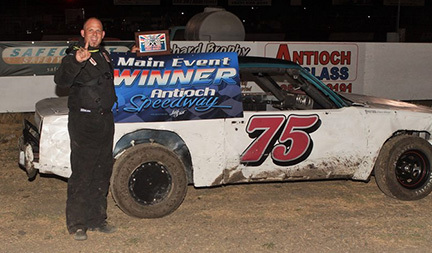 Rookie Anthony Wellborn became the seventh different Hobby Stock feature winner. Past Dwarf Car champion Kevin Miraglio was also a Main Event winner. It was another rookie, Anthony Wellborn, grabbing his first career 20 lap Hobby Stock Main Event win. Point leader Chris Sorensen started back in eighth and made his way to second to present a challenge to Wellborn. However, Wellborn drove a great race and earned his first win. Sorensen settled for a division leading eighth runner up finish. Josh Leach, Phillip Oreta and Jimmy Robbins rounded out the Top 5. 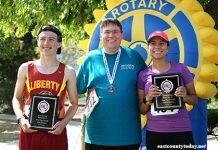 Reigning champion Cameron Swank and rookies Haley Gomez and James Thomson were the other heat winners. Racing continues next week with the $1,000 to win 50 lap open comp Hobby Stock show. Also competing will be the DIRTcar Late Models, All Star Series A Modifieds, Limited Late Models and Dwarf Cars. For further information, go to www.antiochspeedway.com.